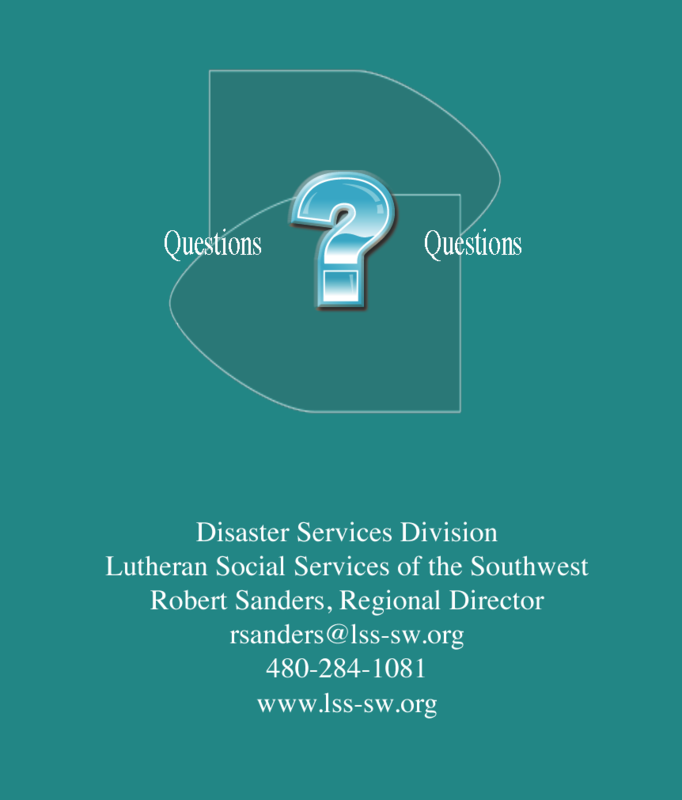 Lutheran Social Services of the Southwest (LSS-SW) Disaster Services Division, a Lutheran Disaster Response affiliate, aids disaster survivors, and trains congregations, groups, and community organizations to prepare for and respond to emergencies and / or disasters. LSS-SW provides services in Arizona, southern California, southern Nevada and Hawaii. Emergencies or disasters can devastate individuals, families, and communities. 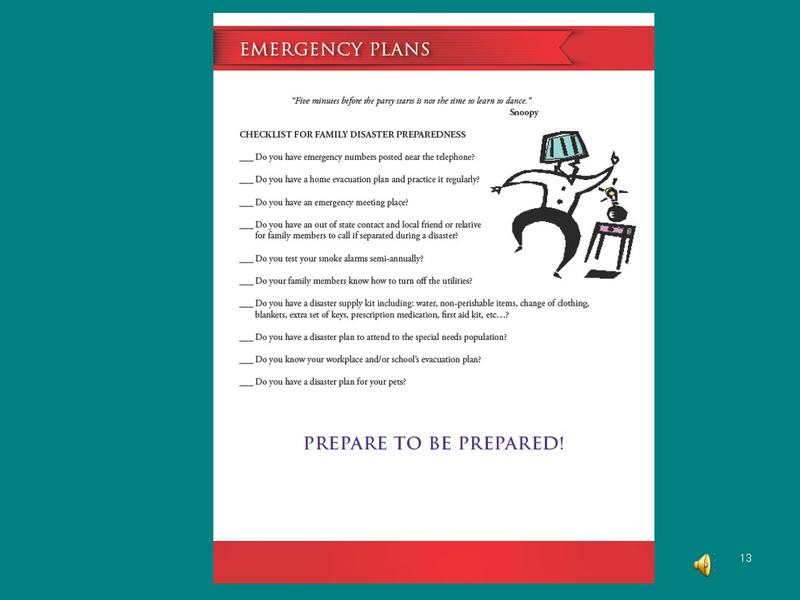 Advance planning and preparation can increase survival and minimize suffering. 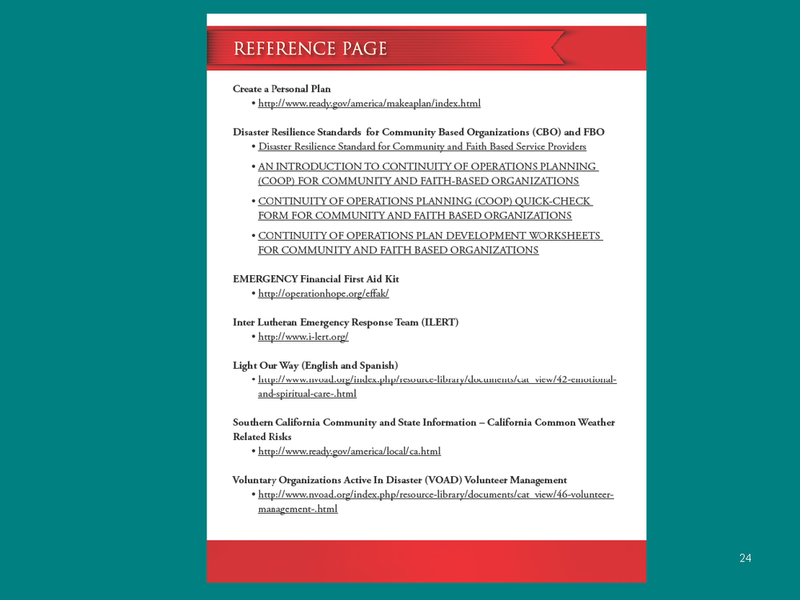 Lutheran Social Services of the Southwest offers dynamic disaster training programs to help congregations, groups, and community organizations establish effective strategies for preparing and responding to disasters. Our nationally recognized curriculum integrates written, audiovisual, verbal and hands-on activities to convey information in the varied ways people acquire and use knowledge. 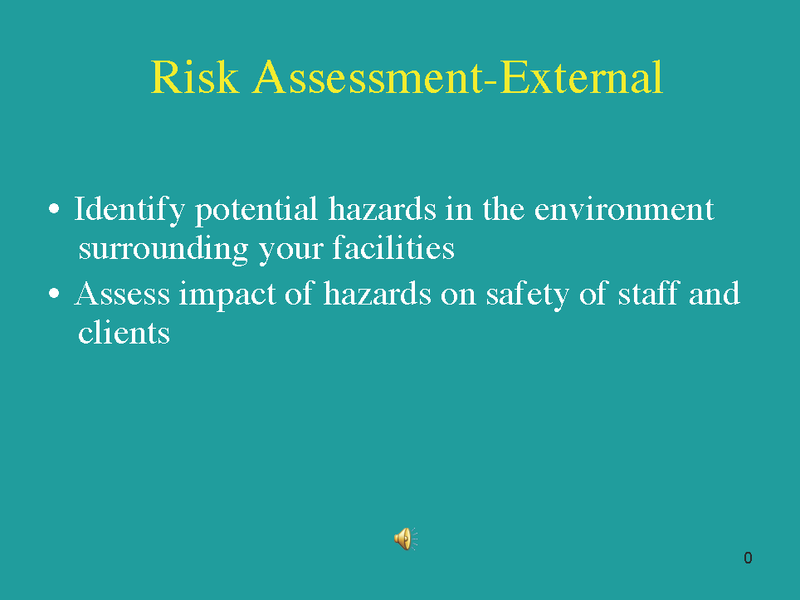 Skilled field instructors and special guest presenters tailor content to address specific disaster scenarios based on each community’s unique geographic, language, and cultural differences. 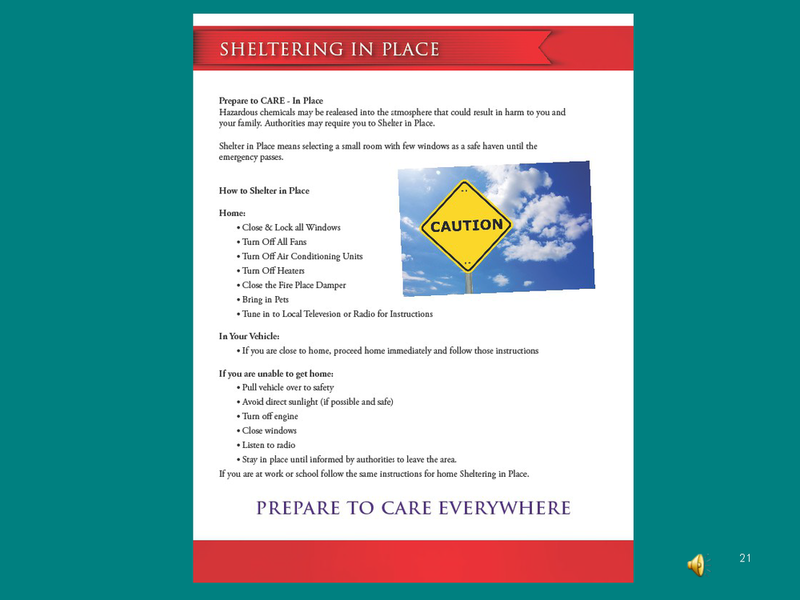 Lutheran Social Services of the Southwest provides professional case management services to disaster survivors by collaborating with Lutheran congregations, ecumenical partners, and local Voluntary Organizations Active in Disaster (VOAD). 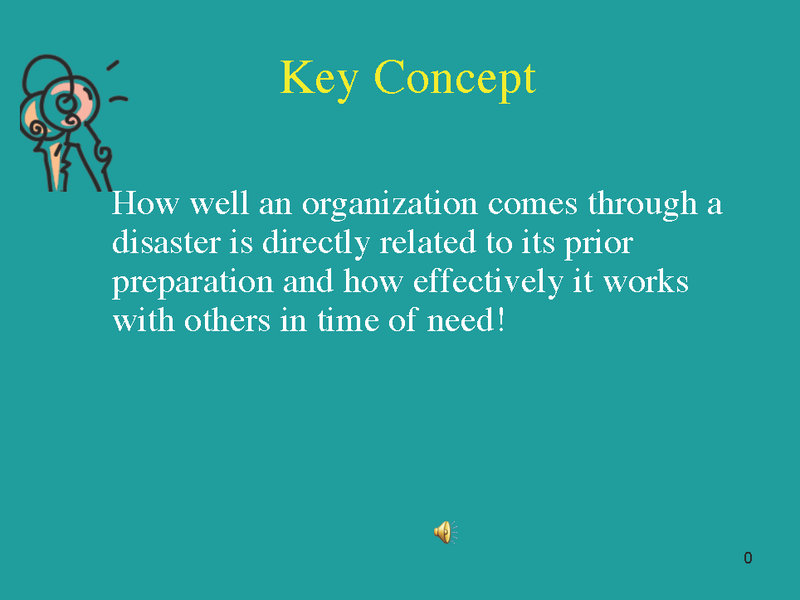 There is special emphasis on helping individuals and families establish a personal Long-Term Disaster Recovery Plan. The plan often includes securing resources, spiritual and emotional care, and acquiring financial support from an array of sources. 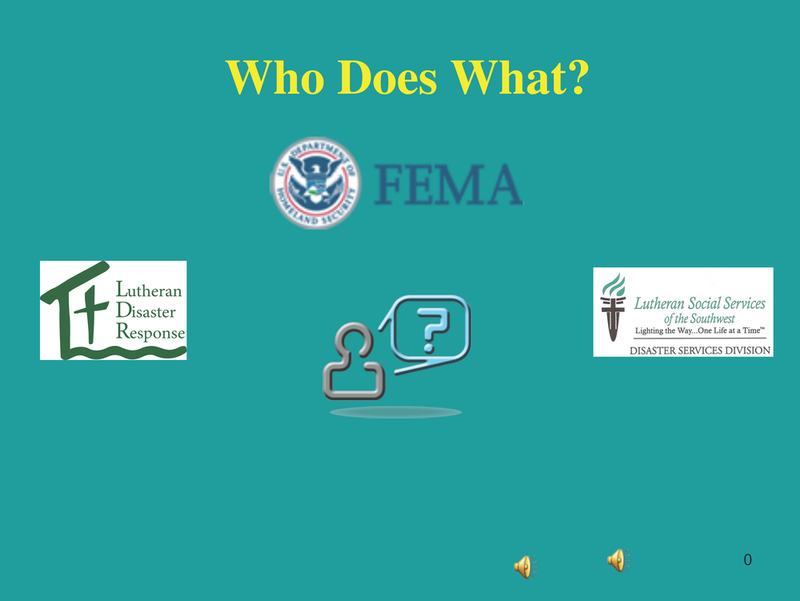 Lutheran Social Services of the Southwest also works with entire communities to assist in facilitating and establishing long-term disaster recovery committees to help maximize the use of available resources and minimize duplication of services. 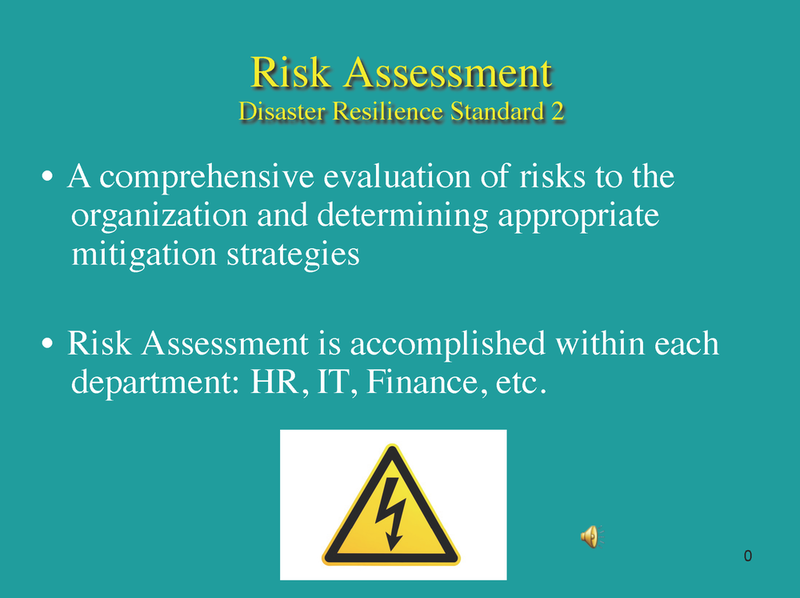 It is nearly impossible to predict when or where a disaster a going to take place. It is possible, however, for communities to prepare for what may happen. Disaster preparedness readies us for the unexpected, and it allows for a more organized, timely, and efficient response when disaster strikes.